The ongoing drought has drastically impacted fishing around the area, but it’s becoming more serious as the days progress without a drop of rain. My fishing spot, during my lunch break, along the Atascosa River at River Park in Pleasanton has essentially disappeared due to low water levels. It wasn’t long ago where I was able to catch at least a couple of fish in roughly 30 minutes during the middle afternoon hours. However, I can’t even recall the last time I reeled in a fish there. The water is caked with algae on top of the surface, which doesn’t translate into opportunistic fishing conditions. Perhaps I should attempt to search for catfish with bait in order to catch a fish during my lunch break. But I’ve never been a huge fan of bait. That’s just me, yet there are plenty of carp and catfish in that area. 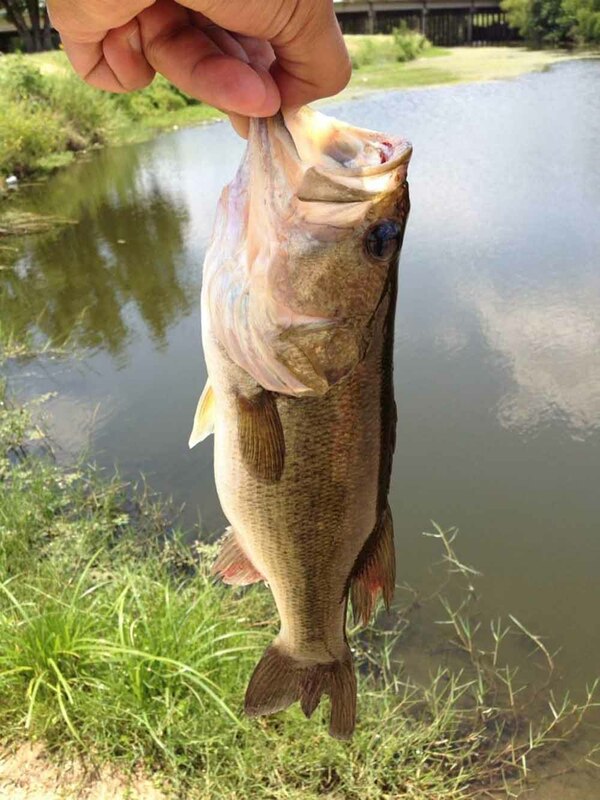 For black bass, Choke Canyon is known throughout the state for its bass fishing. I wrote a story about fishing at Choke Canyon back in June and the water level was around 20′ low. Now it’s 21.53′ below full pool level. With scorching temperatures in the forecast fishing around the area will be tough until we receive rain. Even the fishing at Braunig and Calaveras Lakes has been slow due to harsh weather conditions. Maybe right now would be a good time to re-spool your reels and thoroughly clean your boat right now. When times are tough for fishing look for something productive to do like maintenance to your equipment. Making sure your rods and reels are prepared to fish is a good method because there is nothing worse than hooking a fish and losing it due to old line. Also, liberally oil your reels to ensure optimum usage for every fishing trip. And if you have a rod tip to repair make sure it’s properly fixed before your next outing.